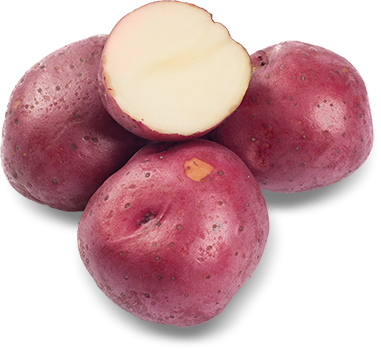 Red potatoes are a medium-sized, low starch potato. They have a paper-thin red skin and a ‘waxy’ white flesh. Unlike russets, red potatoes hold their shape during cooking which makes them the ideal potato for soups and stews or chunked and put in a salad. While they are ideal boiled, roasted, or pan-fried, they are not a great potato for mashing.